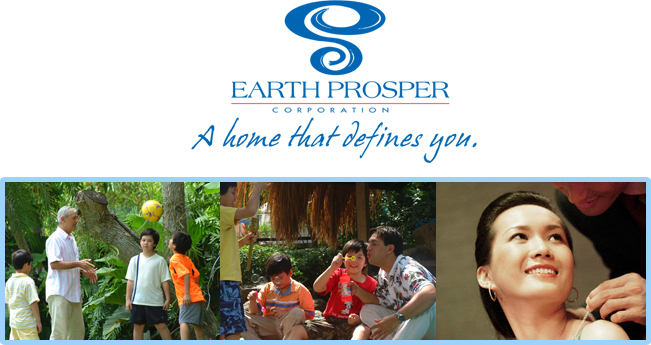 Earth Prosper Corporation caters to the prospering and power-value middle-income market segment who expect simply the best their money can buy in terms of size, quality and price. It offers stylized Italian-inspired residential communities that provide a complete lifestyle of comfort and culture for the growing Filipino family who have started on building their prosperity. 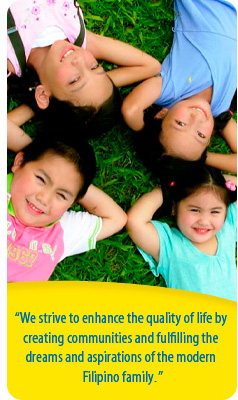 Projects are currently available in the emerging towns of Cavite and the booming community of New Biñan, Laguna. A home that defines you — our homes are reflections of what you have achieved, and what you have become. Beyond simply being a house or lot, they also represent a completely new sustainable lifestyle.